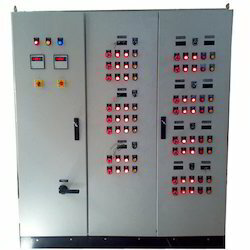 We are a leading Manufacturer of motor control panels, power control panel, plc control panel, drum mix plant control panel, boiler control panels and hvac control panel from Ahmedabad, India. 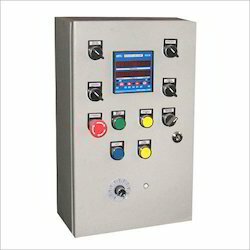 Clients can avail from us an extensive range of Motor Control Panels. Our Panels are durable and meet customer's exact requirements. Our experts customize the product range in accordance with client's specific requirements. These Panels can be availed in various sizes that best fit to customer's requirement. 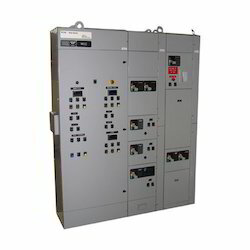 We have emerged as a renowned manufacturer and trader of Power Control Panel. Our immensely engineered power panel is recognized for its efficient working and smooth way of stop and start options. 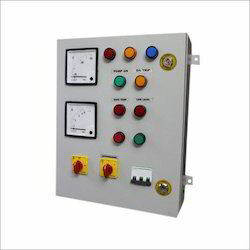 This Power Control Panel is manufactured by using finest quality raw materials like electrolytic grade aluminum, CRC sheet, and copper bus bars. 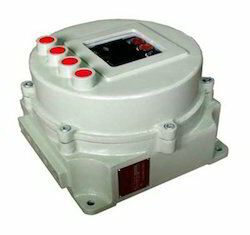 The offered panel has vast applications in heavy duty industries for appropriate distribution of power and to safeguard electrical devices during the power failure. Our firm has gained a prominent name in the domain of manufacturing and exporting the broad gamut of Drum Mix Plant Control Panel. These Panels cater the various requirements of electronic and automobile industries. Our Panels are developed on custom basis according to clients’ preferred specifications and exact needs, they expect for. 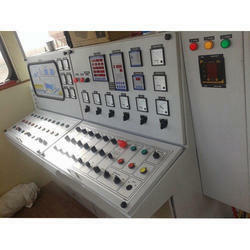 HVAC Control Panel are used in process plants for plant automation purpose. 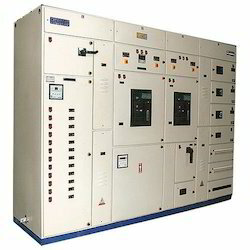 All types of panels like control room panels, mimic panels, annunciation panels and DCS consoles are manufactured by us. 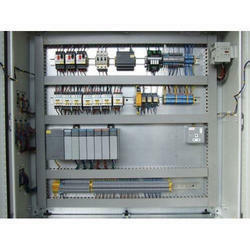 We design, select and supply complete instrumentation required for such Instrumentation panels with instruments like indicators, controllers, recorders, annunciators and many process instruments. Looking for Control Panel ?